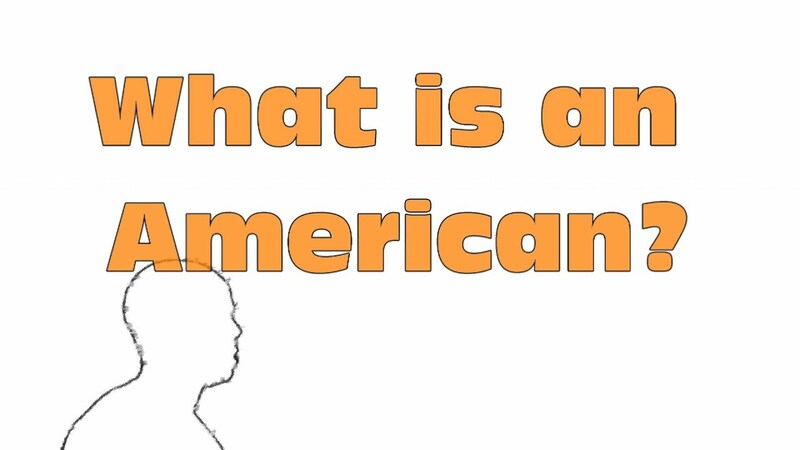 What is an American? The simple answer is anyone born in America is an American, with the attached profile of those who have been granted citizenship, they are American as well. But in context to what America is in relation to being able to define a person as an American, has taken on a multitude of definitions. In 1787 the constitution was drafted and after a long and difficult process, the Federalist and the Anti-Federalist were able to ratify this document that we call our Constitution. The word constitution is: a body of fundamental principles or established precedents according to which a state or other organization is acknowledged to be governed. The very words of our laws are held within the constitution of principles and are the fundamental framework that supports the people's rights and against the natural tyranny of government. It is the constitution that designates who is an American and who is not. Those principles, albeit universal in design are specific in function and are reserved for and by those who are American. It is not to say that others of the world have fewer rights but they are not Americans and therefore do not share in the entitled benefits of those who have earned or been endowed with or have adopted those fundamental precepts that outline the meaning of the word American. If you are an Australian you are not an American. If you are from Peru you are endowed with those privileges but not those of America. Every country has a constitution but only America has an American Constitution. That may sound simplistic and it really is but when taken in the context of others laws and other countries our constitution, our rights and our privileges are unique to US, Yes I made that mistake on purpose. Being an American is a privilege but only for those who truly believe in being American. For many, the idea that forms the American philosophy is nothing more than a pathway to something different, a detour toward somewhere else. These individuals and groups have forsaken the ideals that this Republic was founded on. Did you notice that I did not say Democracy? We live in a Republic and that difference is profound. So often we are faced with the ever-changing definitions of so many things that nothing has any real value and so it has become with being an American. We are not a pit stop, a detour or a roundabout where any and all ideas are welcome and allowed. America is the final destination. Being an American is the goal. So, what is an American? Let’s use another example to help focus your minds. When you join a club or an organization, generally you abide by the adopted rules knowing that if you refuse to do so you will be asked to leave or worse will be excommunicated from that organization. But what’s happening in our country is akin to joining a church and then telling the church that their wrong and need to change. Why would you want to stay in a church you disagreed with? Unless, and I only mention this is passing, your intentions were to gain entrance for the nefarious purpose of excoriation for selfish reasons. Not unlike the way those who cross our borders illegally and then fight to have their illegality overturned, or those who fight for those who want to change our constitution for a different form of government. If you want to be a socialist, move to a socialist regime, if you like the way Sweden runs their government but don’t like the United States, move, it really is that easy. You don’t like the country you live in, you don’t enjoy the rights you have or you truly don’t believe in the Constitution, MOVE. You have the right to believe, act, react, associate with anyone you want but why do you insist on forcing others to accept your altered views? That’s un-American. Let’s recap. An American is loyal and devoted to the fundamental tenets outlined in our Constitution. There are those who are American in name only but who fail to support the constitutional framework, who strive to change the rules, alter the framework and change the Republic, these are not Americans, see above. An American supports the exceptionalism that is the United States. An American honor and upholds those foundational principles, unlike many of our politicians. Americans value the Republic, again see above reference to the differences between Democracy and a Republic, and values those inalienable rights and understand to some degree from whence they are derived. Be proud, be American and be Free.